The Ministry of Youth and Sports of the Republic of Indonesia in collaboration with ASEAN Secretariat are hosting the ASEAN +6 International Youth Camp 2011 under the theme “OptimizingThe Potential of Marine in South East Asia Region” from July 9th to July 13th, 2011 in Lombok, Nusa Tenggara Barat province, Indonesia. Authority will be represent by Mr. Dhruv Bahl and Ms. Ridhima Oberoi, both from the required 18-25 years age category. Appreciation to the Programme Team and the two young leaders for accepting the challenge to be prepared in the tight timeline. 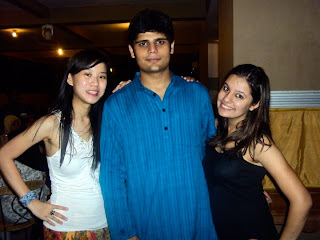 Dhruv and Ridhima represented the 18-25 age category from IAYP India at short notice. Award Interns for about a year, they share the the action from tree-planting, discussions on climate change and climate preservation, cultural night and the fun they had engaging with peers from across the Asia Pacific during the International Youth Camp (IYC) from the 9th July to 13th July 2011. Day 1, 9th July: We arrived in Lombok, a little tired and relaxed at your hotel. Day 2, 10th July : We interacted with delegates from different countries and had an 'ice breaker' session. Post the session, we left for Gili Tarwangan islands on a ferry. The area is known for its mangroves; treest crucial in preventing soil erosion and curbing drastic effects of tsunamis. 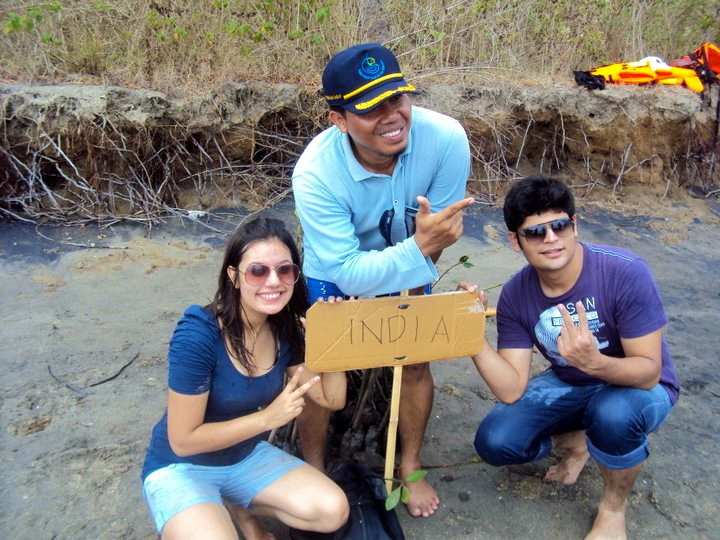 Here we got an opportunity not only to observe how to plant mangroves but also to plant them on our own. After having planted the mangroves we boarded our boats again to another island. After lunch we learnt how to transplant corals using media( a mixture of sand and cement) which was followed by scuba diving and snorkeling to view the beautiful corals and marine bio diversity around the area. Day 3, 11th July: After waking up early in the morning, we headed for the opening ceremony of FIBOP, a watersporting event . The event was declared open by the Vice President of Indonesia. The ceremony show cased a lot of traditional dance and music performances of Indonesia. After the inauguration we headed to a village of the ‘sasak’ people –traditionals of the Mataram district. In the evening all delegates presented their country reports and we got an insight on how every country is trying to protect their marine bio diversity. Day 4, 12th July: A workshop was conducted by Mr. Rob Oliphant on International Award for Young People. 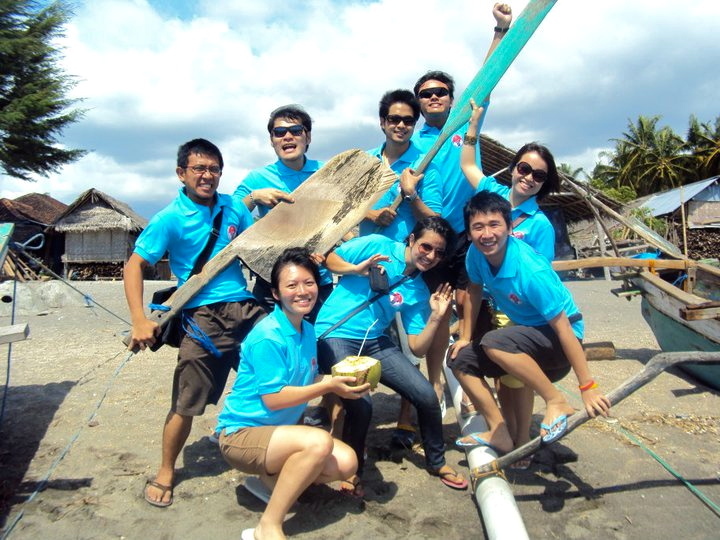 After this we went to a village to learn how to make media for coral reefs. After lunch we headed for shopping.Since it was our last day we had a farewell party in the evening where each country made a cultural presentation. Dhruv believes that "The trip was one that gave me experiences that i shall remember for life. Being a part of the award gave me a lot which i could pass on to my fellow participants in ways more than one. The sheer joy of meeting so many people coming from different diversities , backgrounds , cultures, organised into one team engaging in funfilled activities to keep the marine biodiversity thriving is an experience that can never be repeated." Ridhima says that "Í got a wonderful opportunity not only to be a part of the conference but also to interact with so many people. I got an opportunity to contribute my bit for a social cause. Iayp is a platform to be a part of social causes and has helped me to see the world from a different perspective thereby, helping me to develop into a person the world needs today!"